Your floors are your home’s foundation. Well, that’s pretty obvious, right? But take a minute and think about this. 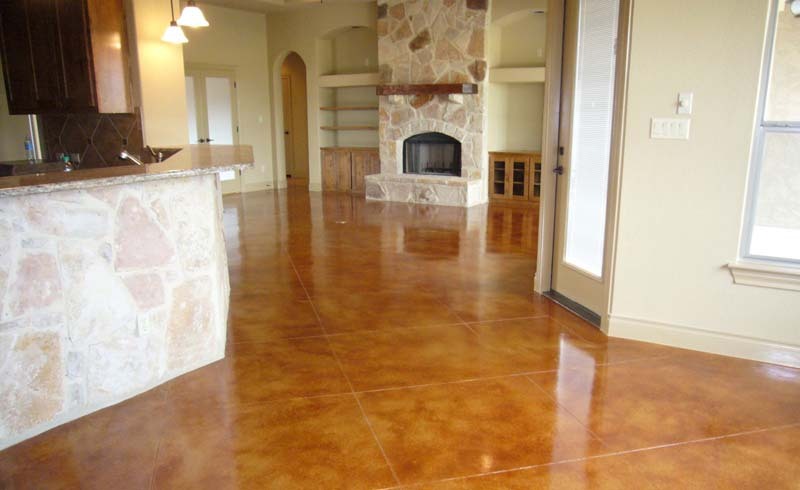 Your floors are a defining point in your home. If they feel dirty, the entire house feels dirty. This also applies to businesses – clutter on your desk is to be expected, but clutter on your floors looks disorganized and unkept. And studies show that clutter increases feelings of anxiety. Choosing the color of your floors is choosing how you plan on decorating the rest of the room. It’s an important starting point that dictates and directly affects your space’s look, feel and mood. That’s why this decision is so important and must take into consideration several factors including lighting, room size, surroundings and how much wear it’s expected to undertake. Children, pets, your rowdy Uncle Gary – what havoc will your flooring endure throughout the years? Before you choose your floor type, you want to think about what will fare the best with your lifestyle. If you live in a household that is pretty laid back you’ll have more freedom to choose flooring and colors. You won’t have to worry about carpets stains or light-colored flooring that shows every hair shedded off of sweet Fluffy. For rooms that will naturally receive a lot of wear and tear, carpet might not be the best option. One spill from a loose sippy cup – or your glass of wine – could mean a lifelong stain. 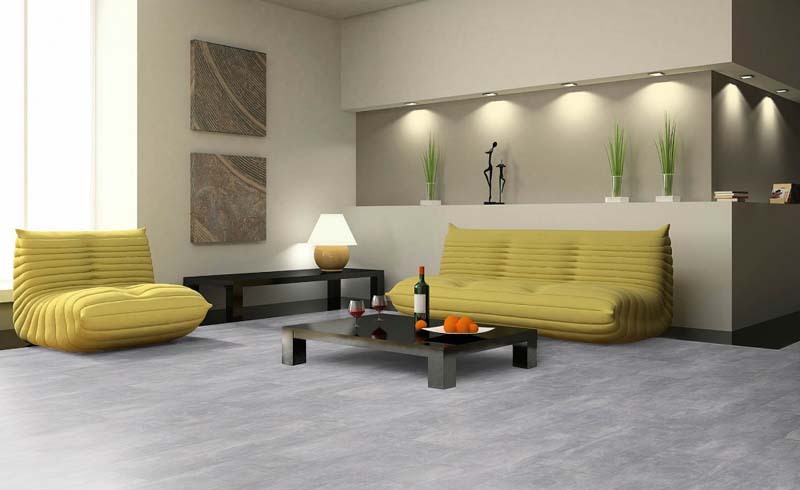 For these types of rooms, you’ll want to consider flooring options that will last for years to come and require little maintenance. Hardwood floors and tiles are sturdy options for these types of rooms. Another less known option is concrete stain. Applying concrete acid stain to concrete creates a unique marble look. The stain’s color is a result of the minerals in the concrete reacting to it, so make sure to test it out before committing to a color. Are you a fan of darker colors and high contrast, or lighter colors and brighter rooms? Though most people think of windows and lights when it comes to the brightness of the room, your floors will also determine how much light your room holds. Darker colors tend to absorb more light, so they generally make a room darker. This can be amplified if the room is smaller. However, if you are a fan of the contrast of dark floors and light walls, actual lighting can offset this. What kind of look are you aiming to achieve? Are you going for an elaborate room featuring high-end decor such as chandeliers? Are you trying to create a calm space? How about a clean-cut, modern look? If you are creating a space that is filled with a myriad of decorative pieces, then you will want to consider a color that isn’t overwhelming. With this look, it’s usually better sticking with a lighter, natural floor color that will complement the room but not take away from the focal pieces. Lighter colors are also generally better if you are trying to achieve a calm space. They will reflect natural light better, so you will have a bright, relaxing space without needing to fill it with lighting. Again, dark floors absorb light, so you want to accentuate the natural lighting when using dark colors but they too can be quite nice. Regardless of the colors or types of flooring you decide to use, remember that the flooring is the most seen and a very large part of the room. So best to choose colors and styles that compliment the room and surroundings rather than overpowering it. Unless of course, that’s what you’re going for.